People left homeless by the landslides in Ward 27 of Binh Thanh District have been temporary relocated at the Ward’s central house, said the Deputy Chairman of Ho Chi Minh City People’s Committee Nguyen Trung Tin. No deaths were reported after the landslides that caused eleven houses near the Kinh Bridge to fall into the Thanh Da Canal on July 24. After the slide, deputy chairman Tin visited those who lost their houses and worked with the Ward 27 People’s Committee and Binh Thanh District People’s Committee. According to Nguyen Huu Tin, Deputy Chairman of Binh Thanh District People’s Committee, 15 houses in the adjacent areas have cracks in the wall, which may be collapsed by landslides anytime. Residents of the 15 damaged houses have been moved to safer locations. Relating to resettlement, a representative from the city’s Construction Department said to date, there are 29 resettlement houses, available for people to stay anytime. The city has enough resettlement houses for people so far, said the representative. Speaking at the working session, Tin asked the department arrange resettlement houses for people left homeless by the landslides to help stabilize their lives as soon as possible. 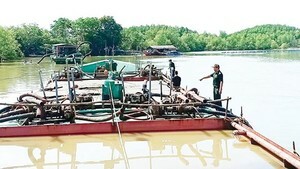 Tin also asked authorities pay attention to environment protection standards to avoid the spread of disease. 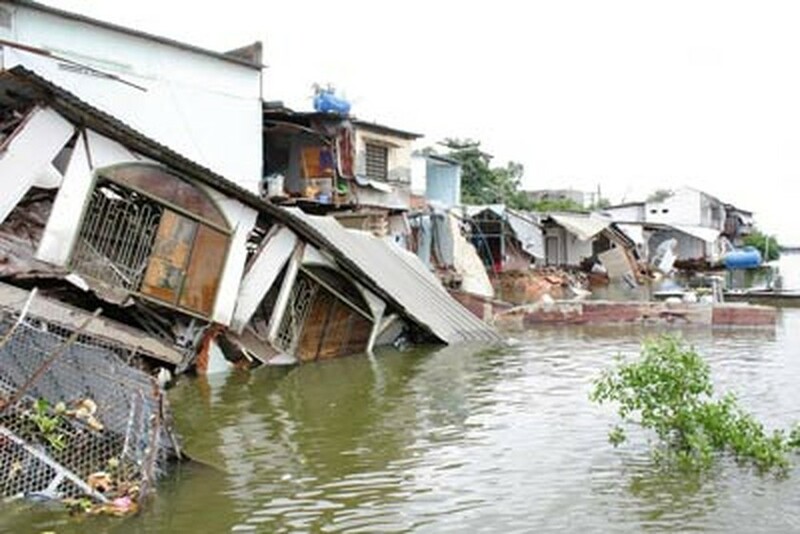 In addition, district authorities need to review and implement measures to prevent further landslides along the Saigon River. On the same day, rescue forces from the city Fire Department used machines to find and retrieve properties, which were swept away by landslides on July 24.